We all knew that Samsung was going to announce a slew of “pro” tablets and after leak, after leak, they’ve finally officially announced them all. 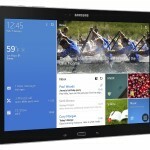 The Galaxy Note 12.2 Pro was in fact announced earlier and stands atop this latest lineup of Android tablets from Samsung. 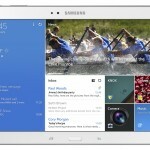 As for the rest of the Galaxy Tab Pro line, let’s take a closer look. Starting with the Galaxy Tab 9.4 Pro (as pictured above), we’ve got a stunning 2560 x 1600 8.4-inch display, a quad-core Snapdragon 800 CPU and storage options of either 16 or 32GB, which is of course expandable. There will be LTE and WiFi versions available. 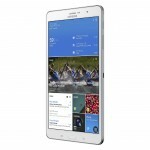 You can take a closer look at the Galaxy Tab 8.4 Pro below. 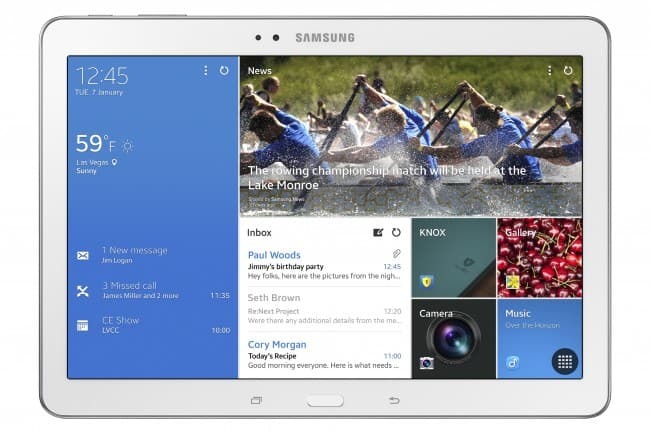 The Galaxy Tab 10.1 Pro is essentially a Galaxy Note 10.1 – 2014 Edition without the S-Pen. There’s a little more to it than that but, as with the rest of these Galaxy Tab Pro tablets, it features the same faux-leather backing as the Note 10.1 – 2014 Edition. Unlike its close cousin however, this features Android 4.4 KitKat – as does the rest of the line – as well as some other UI tweaks. 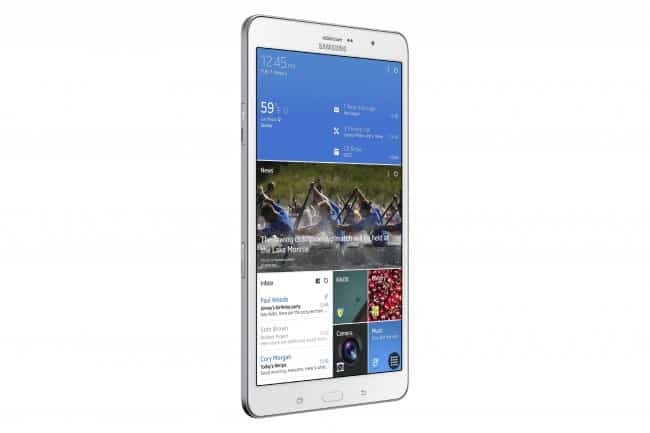 As with the Galaxy Tab 8.4 Pro, this features a Snapdragon 800 (or a Samsung Exynos 5 Octa depending on market and features) 2GB of RAM and 16 or 32GB storage options, all powered by an 8,220 mAh battery. Take a closer look in the gallery below. 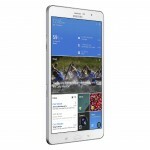 The Galaxy Tab 12.2 Pro is a little different from the others above and obviously has more in common with the Galaxy Note 12.2 Pro, which makes for 3GB of RAM and storage options of 32 and 64 GB. Elsewhere, things are pretty similar, with either Snapdragon 800 or Exynos 5 Octa CPUs depending on market and variant. The 12.2-inch display also features the same 2560 x 1600 resolution and similar design to the other tablets, which you can take a look at below. All of the Galaxy Tab Pro tablets share some very common DNA and of course, they’re all aimed at business users. 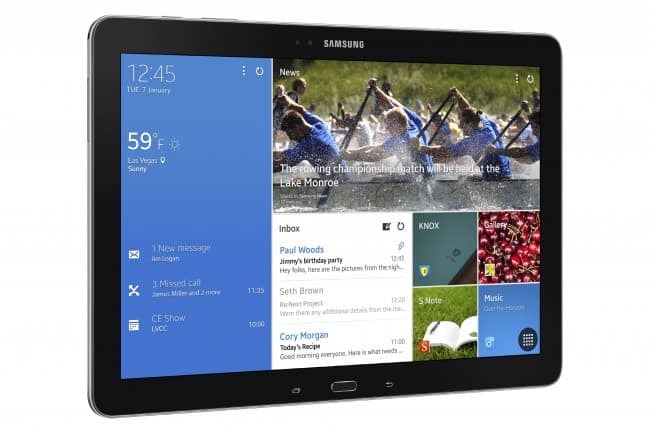 With powerful specs and in the case of the Note 12.2 Pro and the Tab 12.2 Pro, more space to multitask, Samsung have created tablets that are more suited to those who carry briefcases then messenger bags. There are some interesting software features from Samsung here as well, such as the Magazine UX (which is featured in all of the above images) which is essentially a hub of everything you care about on your device. Your calendar, your e-mail and so on – something only business folk would truly appreciate. Moving on with the business focus, there’s a remote desktop app that allows easy access to the office when at home or vice-versa and there’s also Network Boost, a feature that combines WiFi and LTE (if included with your model) to get the best speed possible. While these are clearly aimed at business users, they’re not all work, and tablets like the Galaxy Tab 8.4 Pro are great for gaming and content consumption thanks to the Snapdragon 800 and 2560 x 1600 display. 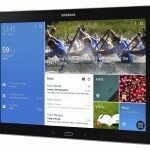 The post Samsung Officially Announce the Galaxy Tab Pro Line; With High-End Performance and a Screen Size for Everyone appeared first on AndroidHeadlines.com |.